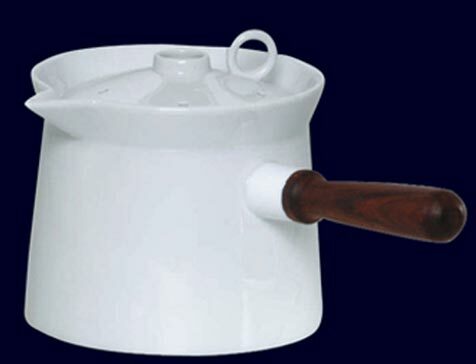 The BMF milk pot ‚Milky’ is made of valuable porcelain. With its high-tech bottom you can use it directly on the stove or ceran (not on gas cookers). The specially developped lid pre-vents the milk from boiling over. The milk can’t get burned and you can serve it directly from the stove to the table. For cleaning use normal detergent.Item no. 42900 Contents about 0.9 ltr.